Plantation, FL, December 3, 2012: DHL today unveiled a new, modernized hub and airline facility at the Miami International Airport service center to meet customers’ growing shipping needs to and from Latin America. At the facility’s ribbon-cutting ceremony, DHL also announced the recent signing of a new Global Buyer Initiative, which supports expanding U.S. exports by matching foreign customers with U.S. suppliers. The new 140,000 square foot facility in Miami will serve as a hub for processing DHL shipments from all over the world to Latin America and the Caribbean as well as for shipments from Latin America and the Caribbean to the more than 220 countries and territories DHL serves. DHL will also provide air cargo and charter services from the facility to all of Latin America, Mexico and the Caribbean. Over the last decade, total U.S. merchandise trade (exports plus imports) with Latin America grew 82% . To ensure DHL is fully prepared for the continued growth in international trade, it moved to a larger space at the airport while creating a state-of-the art facility capable of significantly improving shipment handling times. 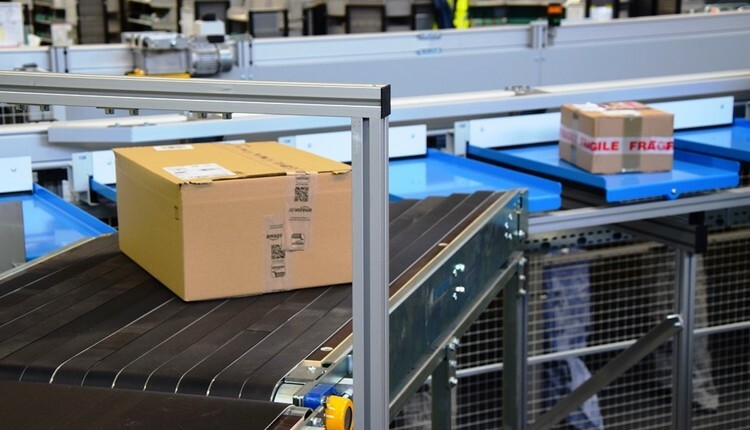 New conveyor systems, additional space for DHL operations and U.S. Customs processing, extra handling and storage space for dry and perishable goods, along with other enhancements like upgraded shipment scanning technology will enable quicker handling and improved shipment visibility. DHL also announced the recent signing of a new Global Buyer Initiative (GBI) that seeks to introduce DHL customers in foreign countries to U.S. small- and medium-sized business suppliers. The GBI is part of a series of partnership programs of the U.S. Government’s National Export Initiative – a multi-year effort to create more U.S. jobs by increasing the number of companies exporting and expanding the amount of markets for U.S. companies that currently export their products. DHL is launching its GBI initially in Mexico, Colombia, Panama and Canada. The new agreement complements the existing New Market Exporter Initiative partnership between DHL and the U.S. Department of Commerce’s International Trade Administration (ITA). The new DHL Miami facility is located at 5815 N.W. 18th Street in Miami, Florida. The new Miami hub and airline facility investment is one of many initiatives DHL has undertaken to improve its international network efficiencies and connectivity system-wide. DHL is also near completion of a $47 million expansion of its regional hub at the Cincinnati/Northern Kentucky airport (CVG).